We got squeals, they’re multiplying. Please help us welcome to the world four new Asian small-clawed otter babies that have been squealing and chirping away since their birth on January 20! The new litter—three females and one male—is spending time in a behind-the-scenes den with mom Teratai and dad Guntur. This is the second litter of pups born to this pair, who famously gave birth to four boys last June just a month after debuting on exhibit in the new Bamboo Forest Reserve. Video: The newest otter pups behind the scenes with mom, dad and their four brothers. The four older brothers, Sherman, Thomas, Chancellor and Maxwell, have taken a lot of interest in the little pups. While mom nurses the newborns, the father and older brothers pitch in to provide supportive care. The parents and the older siblings have daily access to the outdoor exhibit, but they are primarily choosing to stay indoors to be with the pups. Viewing in the exhibit will remain irregular for visitors while we give the family the chance to explore at their own pace. It will be a few months before the new pups can swim and safely navigate outdoors. 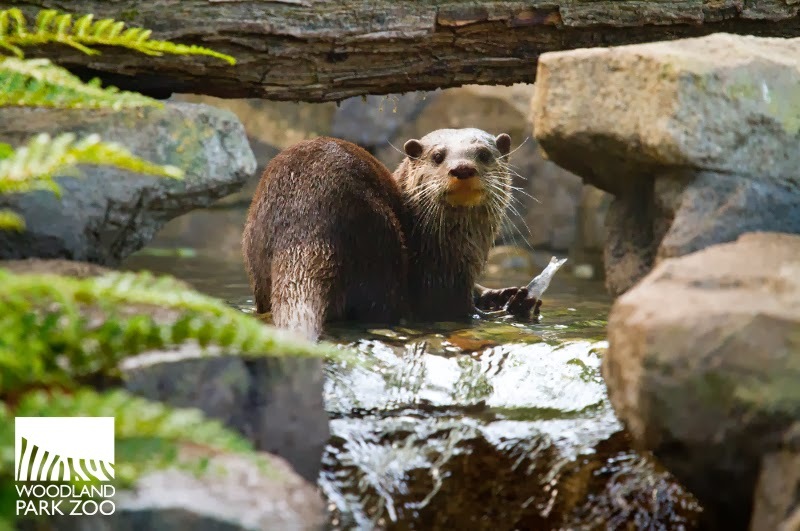 Though Asian small-clawed otters are more terrestrial than other otters, they still head into water to find food just as they would in their native southern and southeastern Asian habitat. Asian small-clawed otters head to water to find food. Photo by Dennis Dow/Woodland Park Zoo. Photos and video of the news pups are in short supply at this early stage while we try to remain as hands off as possible with the family, giving them the time and space they need to bond with and care for their newborns. Teratai and Guntur proved to be excellent parents with their first litter and we’re confident they’ll provide the same level of care for their new pups. At birth, these otters—the smallest of the 13 otter species—typically weigh just 50 grams, no more than the weight of a golf ball. Born without the ability to see or hear, the pups depend on the nurturing care of both parents until they begin developing their senses, which is just now starting for them at 3 weeks of age. We celebrate all births at Woodland Park Zoo, but it’s especially exciting when births represent hope for endangered or vulnerable species like the small-clawed otter. These births are planned as part of the Species Survival Plan, a conservation breeding program that unites Association of Zoos and Aquariums-accredited zoos in the cooperative management of populations for the health of the species. 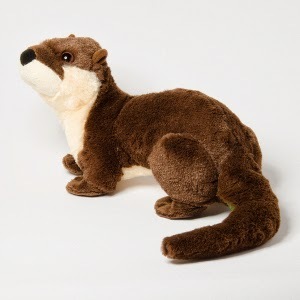 What threats are small-clawed otters facing in the wild? Loss of habitat, poaching, and reduced access to clean waterways threaten the species. When you adopt an otter through our ZooParent program, not only do you help take care of the otters living here, but $5 of your adoption fee goes directly to our field conservation efforts to protect habitat and save species around the world. Thank you, WPZ! What a treat to hear - and to see - these small marvels. Congratulations x 4. I love the fact that brothers and dad are providing supportive care. Amazing! it was a pleasure to watch the previous litter grow up. Can't wait to see these new babies! So adorable; they are like little furry squeeky toys! Thank you! I love your videos SO much!